Gift Cards as a Form of Payment? It’s a Scam. In recent years, gift cards have taken off in popularity. Unfortunately, scammers have a keen interest in gift cards, too – only for them, they are being used to pry money from you as a form of payment in their latest con. Scams that seek payment by gift cards take many forms, but often carry a common theme. They may assert that you neglected to pay taxes to the IRS and must pay immediately. Or the “utility company” will call to inform you that you have failed to pay your bill and now face an immediate cutoff. To fix an urgent problem on your computer, “tech support” will fix the issue with payment by gift card. Or, a “family member” in distress calls and needs your help immediately to get out of a jam, and begs you to purchase gift cards and to keep it a secret from the rest of your family. The scammer will then direct you to go to a nearby retailer, buy a gift card in the amount you owe, and then ask you to share the numbers and PIN on the back of the card. Once you share those numbers, the scam is over. You will never hear from the caller again, and you won’t see the money you paid for the gift cards again, either. Gift cards only can be used to purchase products and services. No government entity will accept – let alone ask for – a gift card as a form of payment. Nor will a utility company or any other legitimate business. The second someone asks you to pay a supposed debt by gift card, know it’s a scam and hang up the phone. 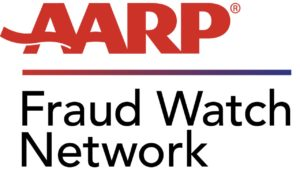 Check out this video AARP teamed with Best Buy to produce, to help spread the message on these kinds of scams. When it comes to fraud, vigilance is our number one weapon. You have the power to protect yourself and your loved ones from scams. Please share this alert with friends and family. Charlestown’s Security & Emergency Services Department has received many calls about a scam alert that involves someone contacting you claiming to be from Microsoft, Apple or another well-known tech company. The caller tries to convince you to allow them remote access to your computer. Do not allow them access. Read more information below taken from an AARP Scam Alert. Scammers pretending to be from computer companies rely on successful tech support scams to steal your money, gain access to your computer, or both. ~You get a call or see a pop-up message on your computer warning that you have a virus (the caller will claim to be from Microsoft, Apple or another well-known tech company). ~They convince you to provide remote access to your computer so they can show you the ‘problem’ – and then pull up benign data that looks threatening to convince you to pay them to fix it. ~While on your system, they could install software that puts your computer and the information you store on it at risk. ~In the end, they will ask you for your credit card number to charge you for the repair, and will try signing you up for a worthless maintenance plan. 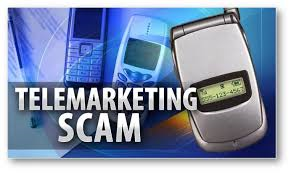 ~ An urgent call from a supposed tech company warning you of a virus is a scammer. ~ Rely on on-screen messages from your software security that will prompt you to do things like install updates to your security system. 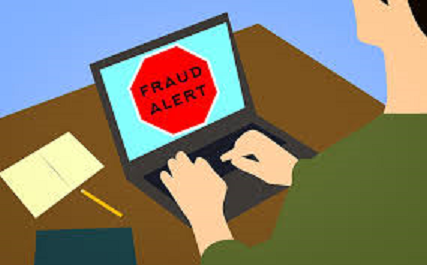 ~A follow-on scheme involves the tech company calling you back one day to claim it’s going out of business or it’s offering refunds for some other reason, and they will ask you for your bank or credit card information to process your refund. ~Hang up on anyone claiming to be from tech support warning of a virus on your computer. ~If you get a pop-up alert that appears to freeze your computer, don’t follow the instructions. Just shut down your computer and restart to get rid of the phony ad. The elderly are frequent targets of telemarketing frauds and sweepstakes scams. This type of fraud can include identity theft, fake check and wire transfer scams, investment and credit card fraud, and bogus online charitable solicitations. Your Charlestown Community has had several recent incidents of these attempted crimes. Fortunately, the would-be thieves were unsuccessful! You are encouraged to report suspicious activities to the Security and Emergency Services Dispatch Center 24/7/365. An Officer will take the report and we can block the suspicious number communitywide. We also follow-up with local, State and Federal law enforcement and related agencies. *It’s shrewd, not rude to hang up on a suspicious caller. *Do NOT give personal information to people you don’t know, unless you initiated the call. *Don’t let yourself get pressured into a verbal agreement or signing a contract. *Be skeptical of online charitable solicitations, insurance claim payments, sweepstakes/ lottery winnings, or unusually low-cost purchase offers. If it seems too good to be true, it probably is! *Never agree to pay for unsolicited products or services in advance.